Michael exercises six days a week to build strength. Here's how he built up to doing handstand push-ups. Which Muscles Are Used in a Handstand Push-Up? A handstand push-up is a vertical exercise. Your hands are on the ground and your feet are in the air. Since you are lifting your whole body, you need a lot more strength than you do with a standard push-up. The handstand push-up is one of the best exercises you can do to build upper body strength. They work your triceps, shoulders, abs, and back. The thing about a handstand push-up is that you're doing more than pushing yourself up and lowering yourself down. Your core muscles and leg muscles are holding your body in position, so almost your whole body gets worked out. I decided to build up to doing a handstand push-up because I like to challenge myself and try new exercises. Doing a difficult exercise, or attempting to do one, is an accomplishment. As I get better at the exercise, I can tell that my body is changing. The first step is to prepare your muscles. You need to do exercises that work the right muscles. If you don't experience muscle soreness, then you are not doing enough. If your muscles are really sore for a long time then you are doing too much. I worked out 6 days a week doing floor push-ups and planks. While working out, I could tell that my abs, triceps, and shoulder muscles were getting a good workout. There was not a lot of pain, but enough that I could tell what muscles were being used. The second step is to stay focused. Doing a difficult exercise for the first time requires a lot of focus. You should not be distracted. 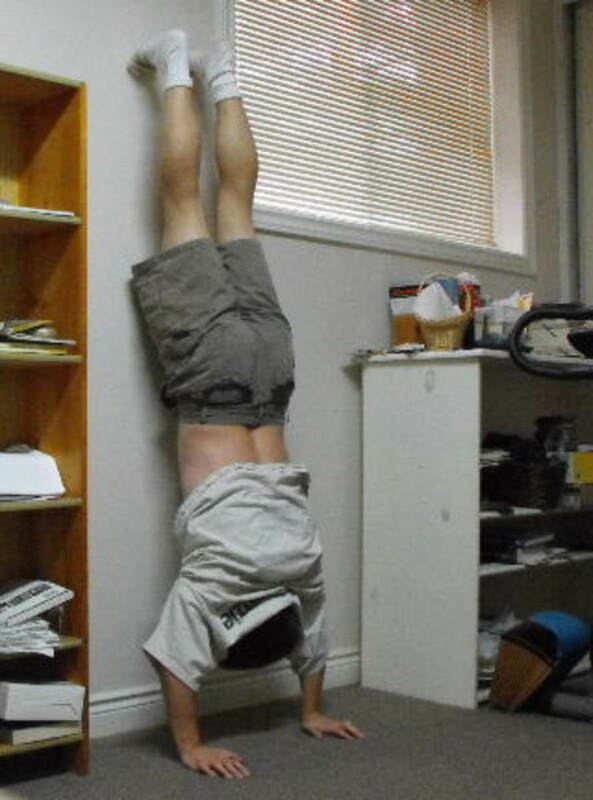 Once my muscles were bigger and stronger, I decided to see if I could do handstand push-ups against a wall. To my surprise, I was able to do them on my second attempt. My first attempt failed because I was worried about falling. I was able to do sets of handstand push-ups against a wall after 6 weeks of training. Before you can do freestyle handstand push-ups you need to get your body into a handstand position. The frog stand is the pre-handstand position. To do a frog stand, squat with your hands on the ground close to your feet. The knees are on the outside touching your elbows. It is important to keep your knees and elbows together while doing the exercise. Your palms should be facing diagonally outward. It is a lot easier if your arms are bent enough to rest your elbows on your knees. Slowly shift your weight onto your hands. Raise your legs while lowering your head. 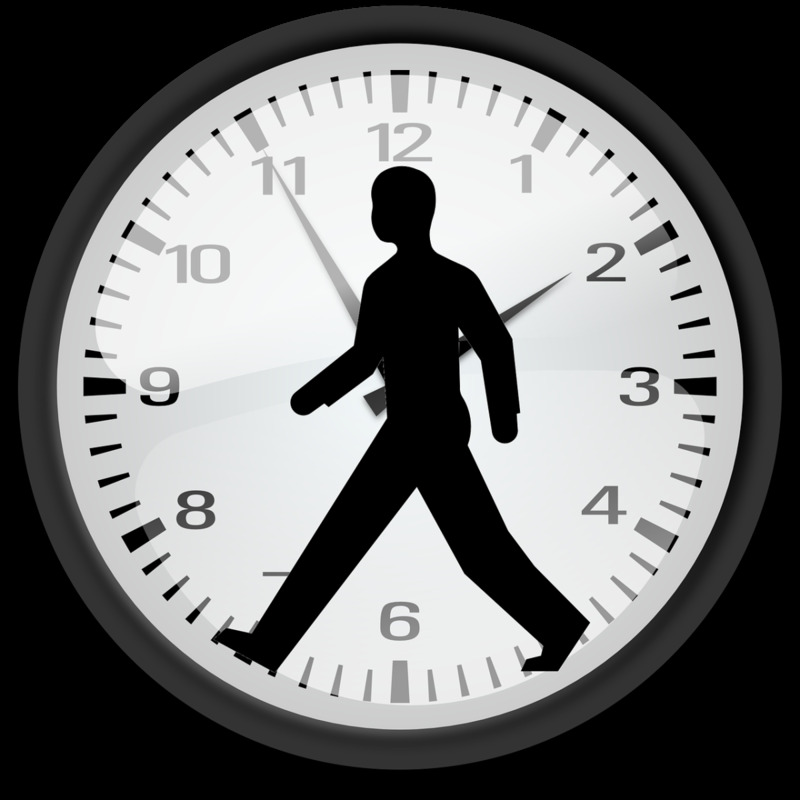 The movements should be slow and controlled. Since you will probably land on your head a few times, use a soft floor or an exercise mat. When you get into position, try to hold it for 60 seconds. Even after doing handstand push-ups against a wall, I found the frog stand extremely difficult. The first day I tried it, I was only able to hold the position for a few seconds at a time, but I kept working at it day after day. This is a pretty safe exercise if you have an exercise mat, but it can be frustrating at first. There were a lot of failed attempts. Obviously, freestanding (a.k.a. freestyle) handstand push-ups are much more difficult than handstand push-ups against a wall. I started by using a wall and built up to freestyle handstands. When using the wall, I knelt down close to the wall, put my hand on the floor in front of me and then moved my feet up the wall (so my face was toward the wall). As I walked my feet up the wall I walked my hands closer to the wall. When I was in position, I repeatedly lowered myself down and raised myself up. It is a good idea to just practice doing a headstand and get good at doing them. After practicing frog stands and headstands, you can transition to a handstand. Get into the frog stand position and then raise your legs into the air. Don't try to raise your legs up all the way up or keep them raised for more than a few seconds until you've had a lot of practice. Try placing your feet farther apart to make it easier to balance. Later when you are better at it you can try it with your feet closer together. Tip: I would get into the frog stand position and quickly raise my legs. Then I would drop back down and do it all over again a bunch of times. Another option is to do a headstand. Then push up so your head is off the ground. I practiced both methods. When you're strong enough and can hold a handstand for a few seconds, work up to doing handstand push-ups by lowering and raising your body. To make it easier, don't go all the way down. You can increase the difficulty by placing your hands on something that is higher than the ground and lowering yourself past them. I recommend practicing on a soft surface. You may want a spotter but if you are careful you should not need one. The person in the video below makes it look easy. I did a variety of push-ups and planks before I could do handstand push-ups, but there are other exercises that helped me work up the strength. I was able to do sets of handstand push-ups against a wall after 6 weeks of training. Practicing decline push ups will help prepare you for the handstand push-ups. I used a set of stairs so I could raise my feet (this forces you to lift more of your body weight.) As I became stronger, I moved my feet to a higher step. Before attempting the handstand push-ups I was doing incline push-ups at the steepest incline I could. My feet were on the fourth step. I recommend that you be able to do a set of 12. Side planks are a difficult exercise because one arm is in the air. As the name suggests, you start in a raised push-up position and then lift one arm into the air and shift your body so you are looking sideways. The raised shoulder should be lined up above the other one. Even after the decline push-ups became fairly easy I still had trouble holding the side plank for 40 seconds. If you get good at the side plank it will be a lot easier to do handstand push-ups. Doing one-handed push-ups puts a lot more weight on the arm you are using. Use a set of stairs you to raise your upper body and make it easier, then gradually move down a step at a time. This requires both strength and balance. Put one arm behind your back and lean towards the arm on the ground. If you can do decline push ups, side planks, and one-handed push-ups without too much trouble, you should be strong enough to do handstand push-ups against a wall. By the time I was attempting handstand push-ups, I was in great shape. Handstand push-ups are a difficult exercise. However, even if you never actually do a full one, the training is going to significantly improve your body. The exercises are great for improving your triceps, shoulders, and abs. They also help get rid of fat. I have done push-ups, decline push-ups, one-handed push-ups, handstand push-ups against a wall, frog stands, headstands, and brief handstands. While I can't quite do freestanding handstand push-ups yet, I am getting a little stronger every day. For me, the journey is more important than the destination. The real goal is to improve.